Preheat oven to 425°. Prepare pie crusts as directed on package for two-crust pie using 9" pan. 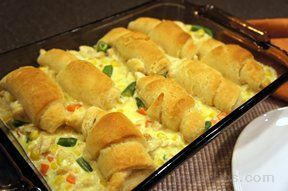 In a medium saucepan, melt butter, add onion and cook until tender. Stir in flour, salt and pepper until well blended. Stir in broth and milk. Cook, stirring constantly until bubbly and thickened. Remove from heat. Add mixed vegetables, stir. 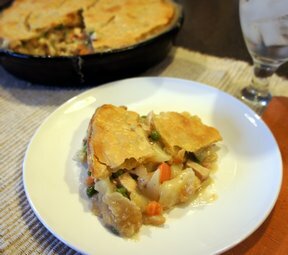 Spoon into crust-lined pan, top with second crust and flute. Cut slits in several places. Bake at 425° for 30-40 minutes or until crust is golden brown. Let stand for 10 minutes before serving. 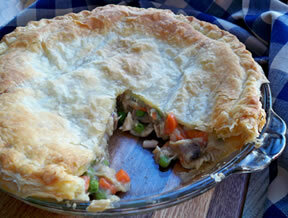 Can add leftover shredded or cubed cooked chicken if you'd like chicken pot pie.